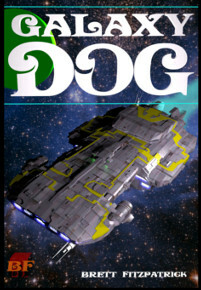 I am staring a series of sci-fi adventures, under the title, Star Questor. In case you're wondering, Questor is a word that originally meant an ancient type of Roman public prosecutor. Later, it took on the meaning of a public magistrate in charge of state funds, or a treasury officers of a provincial governor. Nowadays, it doesn't have much of a meaning at all, but it sounds cool, which is why it is in the title of the story. The title came pretty quickly, but I found the other elements were taking a little longer, and I went looking for inspiration for the plot. It was while I was searching for ideas that I stumbled across a robot plot generator. As someone with pretensions to being a serious author, there is no way I should have even been flirting with something as stupid as this, but... I did give it a try... just to see what it would come up with. I'm not sure how seriously I can take its suggestions, so I guess this post is a little tongue in cheek, but I'm also a little intrigued about what the plot generator had to say. First of all, it suggested a new title for me, instead of Star Questor, it wanted to me to call the book, Galactic Secret Blaster Wars. I have to admit, the generator's title says a lot more about what you might find in the book. I prefer the mystery and ambiguity of my title, though - after all, who even knows what a Questor is - and I'm sticking with it. Next the generator got to the most important part of its job: the plot.This is what the machine came up with. Civil war has struck the galaxy, prosecuted by a ruthless navy commander, Yentar, who is capable of anything, even high treason. Fleeing Commander Yentar, a group of pirates fly toward a distant speck. The speck gradually resolves into a cutting-edge, space structure, named the Spire of the Blue Star. Terrified, the pirate captain flees the spire, with his protector, Sheen. They head for Zeltaran on the planet Zath. When they finally arrive, a fight breaks out. Sheen uses her secret blaster to defend the captain.They decide it's time to leave Zath and steal a battleship to shoot their way out. That is awful nonsense, obviously, but at the same time, it isn't so bad. You can read the episodes of Star Questor, which I'm releasing in roughly thousand word chunks (basically as I write them), to see how closely I have stuck to the suggestions from the plot generator. Spoiler alert: not very closely at all. In fact, I don't think I have adopted any of the suggestions of the plot generator for my new story, but who knows, maybe it helped to read the crazy suggestions in order to get my own creative juices flowing. The picture that accompanies this post comes from Wikipedia, and it is of an installation at the ZKM Medienmuseum, Karlsruhe, Germany, called 'bios [bible]'. 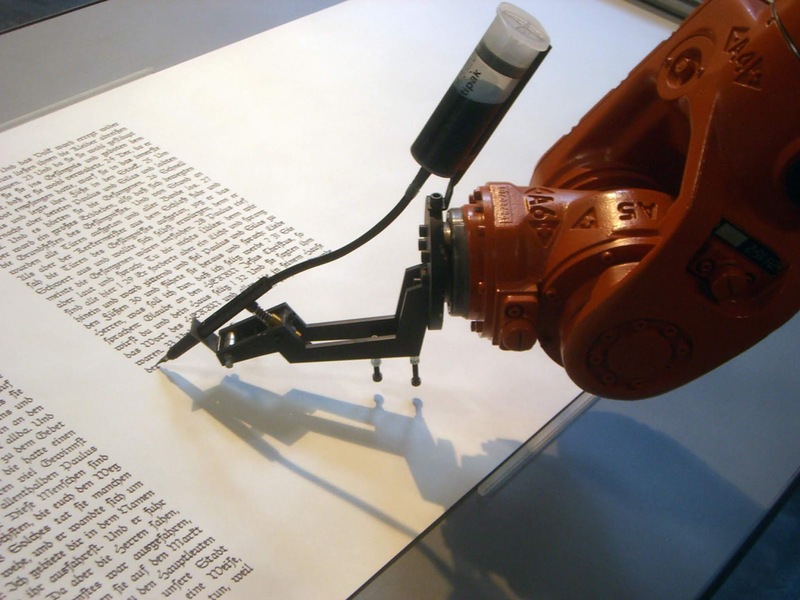 It consists of an industrial robot that writes down the bible on rolls of paper.I imagine some similar apparatus wrote the plot that was suggested to me by the plot-generator site, but I have no way of confirming this.